Hello, Friday, where ya been? After this week, we need a drink straight out of the coconut, and cocktail or mocktail, I’ve got you covered. After all my talk about piña coladas and cabana boys, I knew this weekend needed welcoming with a tiki drink. My trip to the Asian Grocery last weekend yielded two coconuts and a can of mango juice, and since it’s Friday, I’ll put it to good use (with rum). 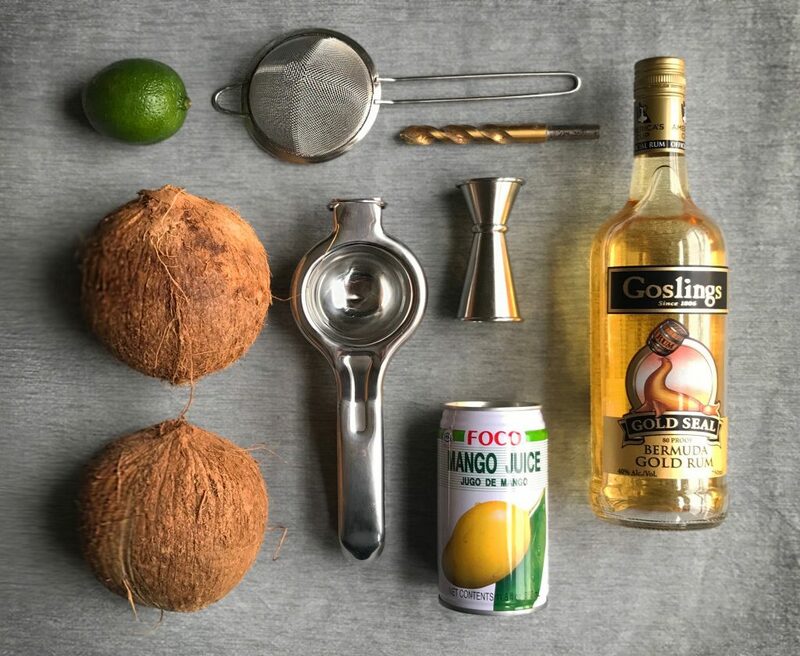 Put the lime in the coconut and jump to the cocktail recipe! Drill a hole in the coconut (I used a 1/2 drill bit), pour the coconut water through a strainer into a cocktail mixer. Add the mango juice, rum (or mocktail ingredients) and lime, mix well. 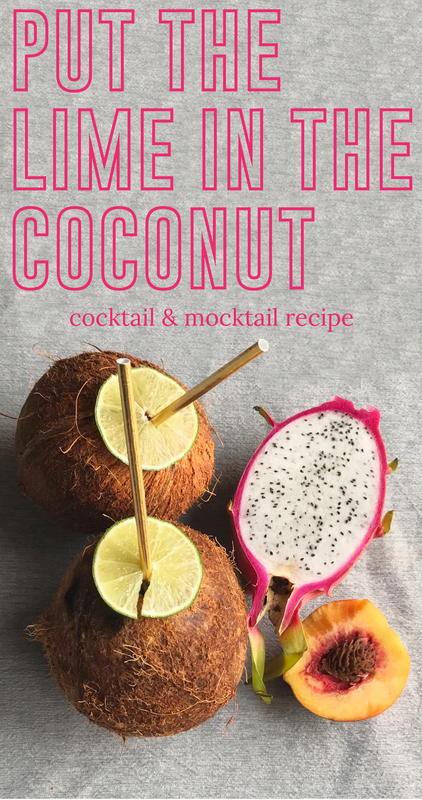 With a small funnel fill both coconuts, add straws, cheers and enjoy! Saturday is mere hours away! Going to start keeping my drill in my bar! This is on my agenda for tomorrow!